It’s understandable that consumers will always have mixed emotions about any company from which they’re buying products, and for the large part, big companies like Apple, Google and Samsung are always going to do something that draws a negative reaction from some. With that said, one thing that Apple in particular can’t be accused of is resting on their laurels and remaining stagnant in the marketplace. 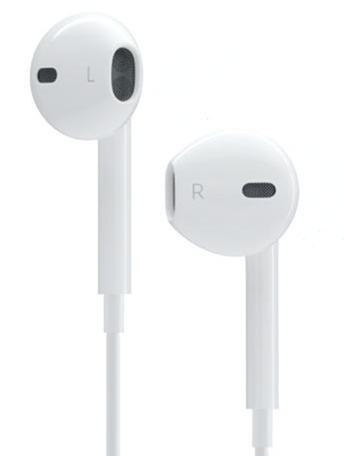 Although the Cupertino company has recently announced and launched their revamped EarPods headphones alongside the iPhone 5, a new patent suggests that they are still working on further advances in that area. Apple patent filings are always plentiful and they do more than enough work in that area to keep a handful of patent lawyers in full-time employment. But one of the latest filings that centers around personal music technology suggests that Tim Cook and his engineers could be planning on building a headphones based product that doubles up as a public music system with built-in speakers. It wasn’t a big secret when the company announced the EarPods in San Francisco in September, but this one seems to have slipped under the radar until now. Sound quality has been dramatically improved with the new EarPods headphones, but Apple themselves would tell you that they can’t compete with the premium headphones on the market that come with full-ear cans like the Beats by Dre option. 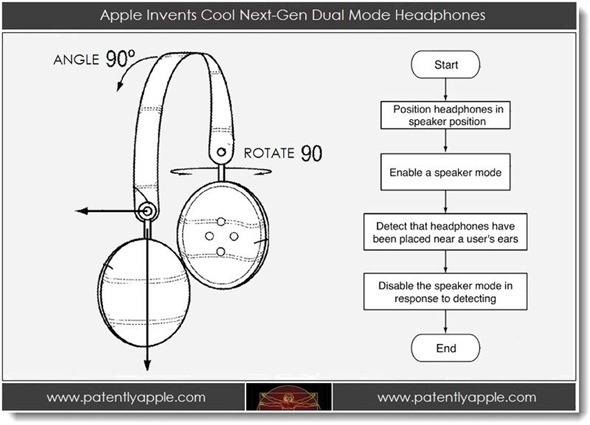 The patent filing seems to suggest that whatever Apple is planning will follow the same design philosophies of the most popular headphones on the market today. As well as being a standard set of personal headphones, the little piece of kit would also have a built-in amplifier to amplify the sound for all to hear. That amplifier would lay dormant until the headphones are removed and the cans are rotated around to turn the device into a music speaker set. Twist the cans back and place them onto the ears and they once again become a standard set of headphones for listening to personal music. If every patent that Apple filed or was awarded turned into an actual product then the company would have the largest portfolio known to man, so as much as we would love these to come to fruition, it is by no means guaranteed. However, it is great to know that they are continuously attempting to innovate and bring new products to the market.